Help IPCC by organising your own event to raise funds for the save the bogs campaign. 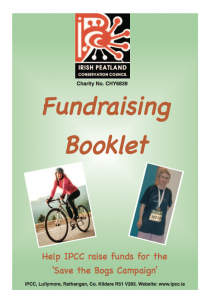 Download our helpful A to Z Booklet of Fundraising Ideas to help you. You can try a garden party, garage sale, jogging for the bog, pedalling for peatlands, selling Christmas cards or having a no uniform school day. Have fun and many thanks for your help and donations.